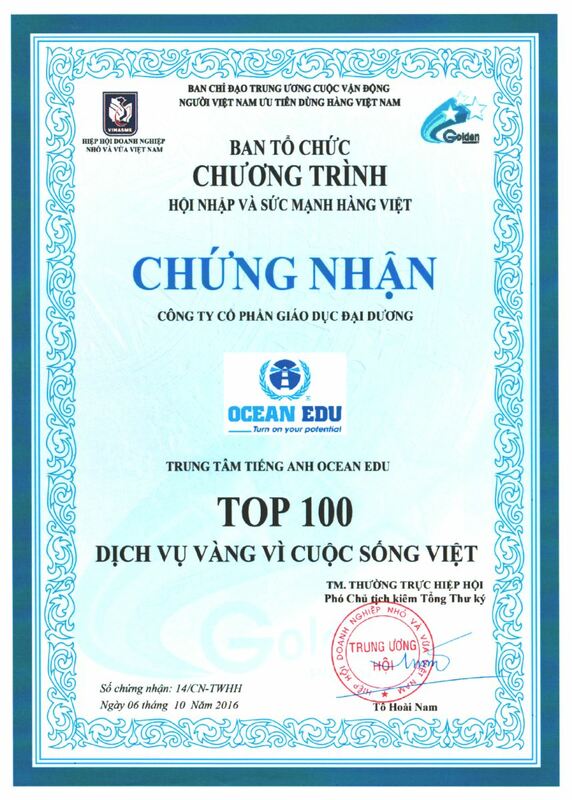 Ocean Edu Vietnam has been established for more than 11 years, and received various awards and achievement with its contributions to the community and society. Awarded in Vietnam by the Cultural Center of Entrepreneurs(VHDN) in collaboration with the chamber of Industry and Trade of Vietnam (VCCI) held in honor of the entreprise efforts in contributing to the overall objective of sustainable development of the country. Awarded by the Association of Vietnam Study in 2015, Ocean Edu vietnam recognized and commended in the field of Educational Development. 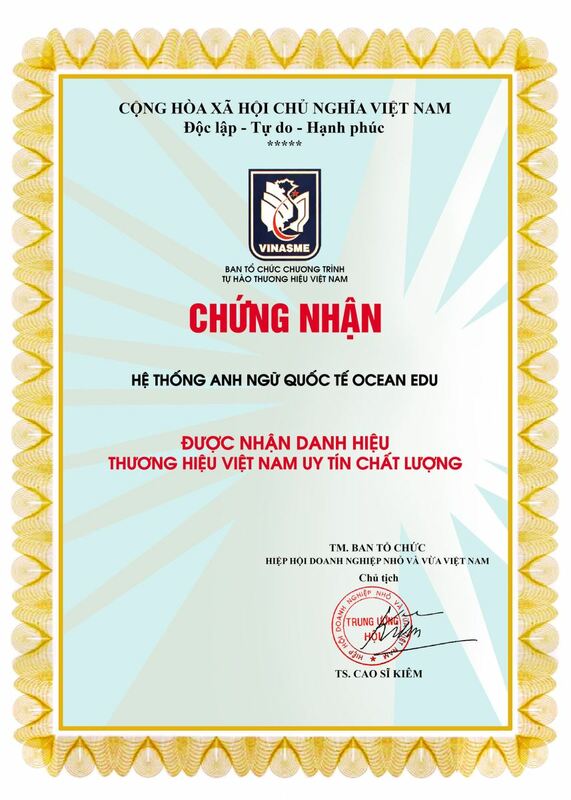 Awarded by the Vietnam Association of Small and Medium Enterprises, Ocean Edu Vietnam commended on its contribution to the community and society. 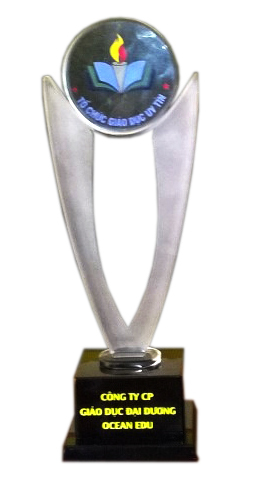 Oganized and awarded by the “Vietnam Association of Small and Medium Enterprises”, Ocean Edu Vietnam commended on its contribution to the overall goal of sustainable development of Vietnam. 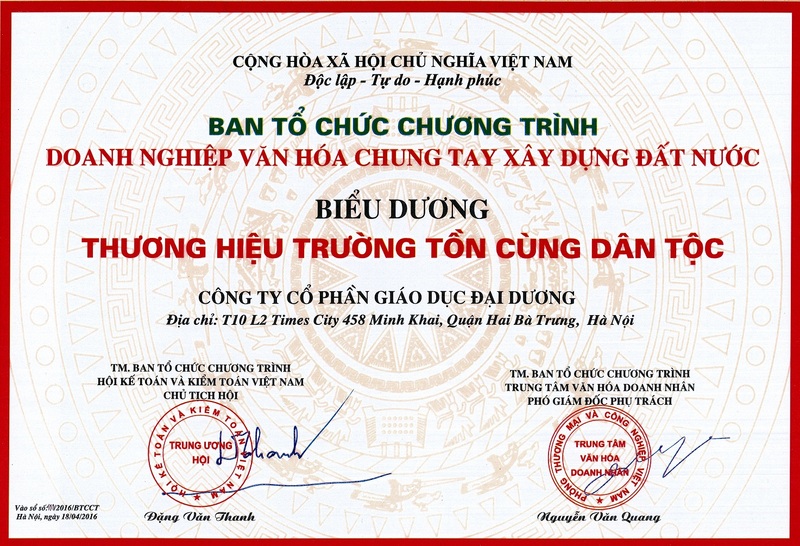 The “Enduring Trademark of the Nation” is an award to recognize and honor the Vietnamese businessmen to its contribution to Vietnam for the prosperity and longevity of the nation. 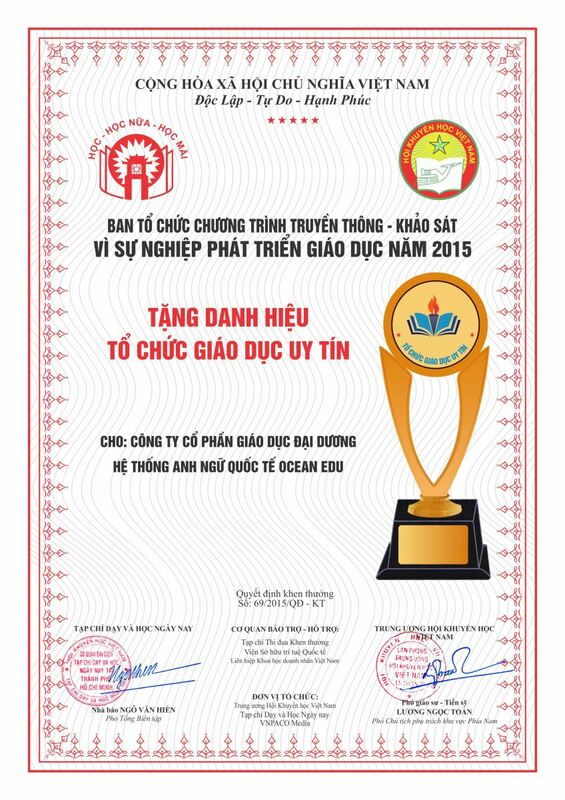 Ocean Edu Vietnam is one of those businesses who received such award.